SUCKER Garden, St.Maartem (Wednesday March 15th, 2017)– On Tuesday, March 14, at around 10:30pm two men were ambushed and shot at a carwash on Arch Road in St.Maarten. One of the victims was identified as “Nino Thewet aka (Nino Brown or Ricky Browne ),” of St.Kitts who was also the owner of the carwash. Nino Thewet, had been shot multiples times and was fighting for his life at the St. Maarten Medical Center (SMMC). However, shortly after 12:00am Wednesday March 15 Midnight, Nino succumbed to his injuries and died. His death is the fourth murder for this year on St.Maarten. The second man is said to be in stable condition but critical and his name could not be confirm but is said to be “Steve S.”. Police and Detectives were at the crime scene as the investigation continues. Browne grew up in Newtown and McKnight and lived at Dorset Village St.Kitts before moving to St.Maarten around 2012 . His brother Glen Browne was also the victim of an ambush style shoooting when he was shot multiple times and killed in 2009 on Thibou Ave , St.Kitts. Below you can read the Police report issue late Tuesday night March 14. Detectives are presently investigating a shooting of two men at a “truck wash” located on the Arch road in Sucker Garden. The Emergency Dispatch received the first call at approximately 10.30 p.m. on Tuesday March 14th informing them that two unknown masked gunmen entered the building on the premises where the truck wash is located. Two men who were in the building at the time were shot by these two gun men. Immediately several police patrols and paramedics were sent to the scene to investigate what had taken place. On the scene the investigating officers learnt that indeed a shooting had taken place and that two persons were shot. After committing this act both suspects fled the scene. 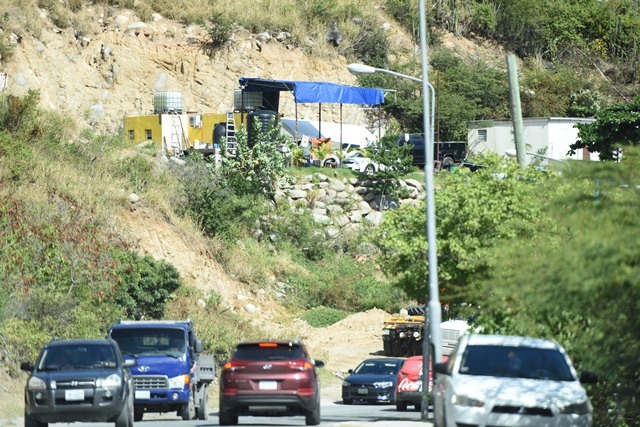 Both victims were treated on the scene and then transported to the Sint Maarten Medical Center for further medical treatment. Both victims are in critical condition at this moment. The scene of the crime was immediately closed off for the Forensic Department to collect evidence while detectives are presently interviewing witnesses. Details to exactly what happened are unavailable at this time. Who the suspects are and why this shooting took place is being investigated. As soon a more information the media will be informed.